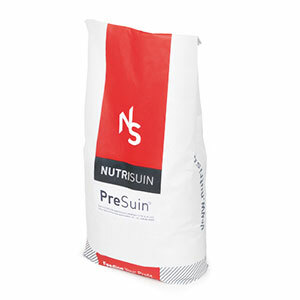 PreSuin is a ready-to-mix, easy dissolving, tasty wet feed powder for use in suckling and newly weaned piglets. 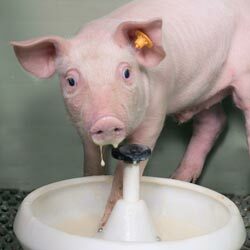 PreSuin is fed to baby piglets twice a day at a mixing ratio of 400 grams to 1 litre of water. PreSuin can be continued (even dry) for a few days after weaning. PreSuin is a supplementary feed for young piglets. Used during lactation, it can be continued for a few days after weaning. 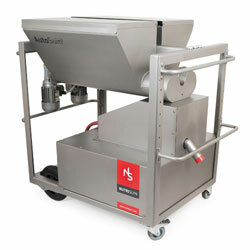 When weaners transition to solid feed, not just feed value but also feed functionality plays an important role. PreSuin's unique expanded (puffed) ingredients make the product very easy for young piglets to digest. Due to the high level of gelatinised starch, almost all of the piglet's energy intake is absorbed in the small intestine. The result is tough weaners that can cope with setbacks and deliver excellent economic results. PreSuin is fed to your piglets twice a day at a mixing ratio of 400 g to 1 litre of water. The AutoSuin comes in very useful here. If desired, PreSuin can also be fed dry. PreSuin can also be combined with your usual weaning feed. 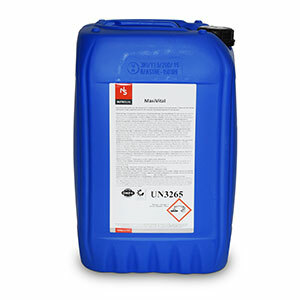 PreSuin is supplied in bulk or in easy-to-use 20 kg sacks (1200 kg per pallet). For convenience and to avoid perishability issues, PreSuin is supplied dry (shelf life 6 months). The AutoSuin comes in very useful here. What do you achieve with PreSuin? PreSuin provides perfect gut training for your piglets. Its high-quality ingredients and specific functionality guarantee excellent dry matter intake before and after weaning. Young piglets eat only small amounts of feed, but convert it very efficiently into growth. The puffed ingredients in PreSuin meant that it can be digested risk-free, eliminating health problems and greatly reducing the effects of weaning on your piglets. Call us today for a free offer! Subscribe now for the NutriSuin-Newsletter and frequently receive information serving your company in a Practical, Targeted and Profitable way! Please complete all required fields (*).